Looking for a really nice gift for a new baby? This gorgeously soft Rufus baby snuggle blanket ticks that box! 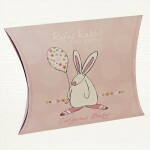 Size 70cm x 85cm for use in a cot, on a pram, tucked into a car seat or spread on the floor. 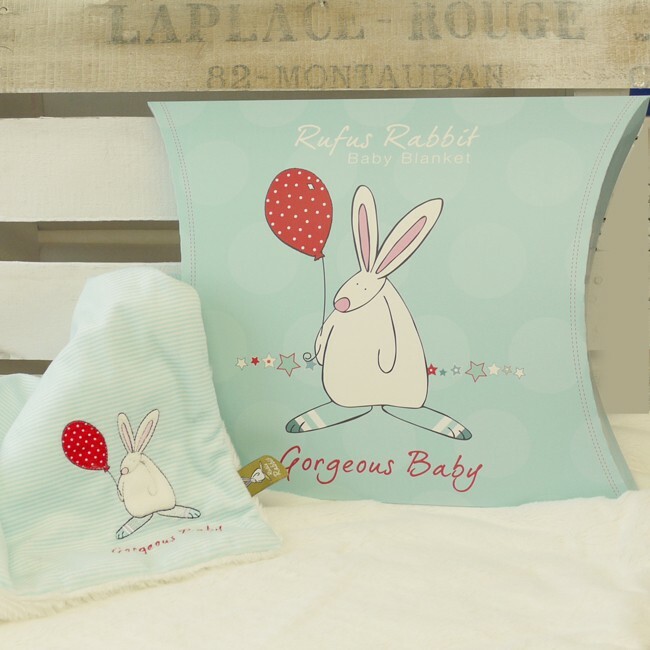 These velvety soft, perfectly weighted snuggle blankets with their subtle Rufus Rabbit appliqué detail and “Gorgeous baby” embroidered wording are packaged in a beautiful pillow style box and make a really lovely gift for any newborn. They are machine washable and iron on a cool setting. Made from 100%Polyester Fibre.